Add more power to your business with ProProfs Chat and osCommerce integration. Offer live chat support to your customers, reduce the shopping cart abandonment, monitor visitor behavior, capture leads and more. Avail all kinds of offers and discount coupons through live chat. Get foot prints of the visitor locations. Update your visitor with new product launch, offers on key items and shipping details. Instant view of the pages being browsed by the visitor. Engage customers and reduce shopping cart abandonment. Step1. Login to ProProfs Chat. Step2. Navigate to Settings and then click on "Installation", Copy the chat installation code. Step4. 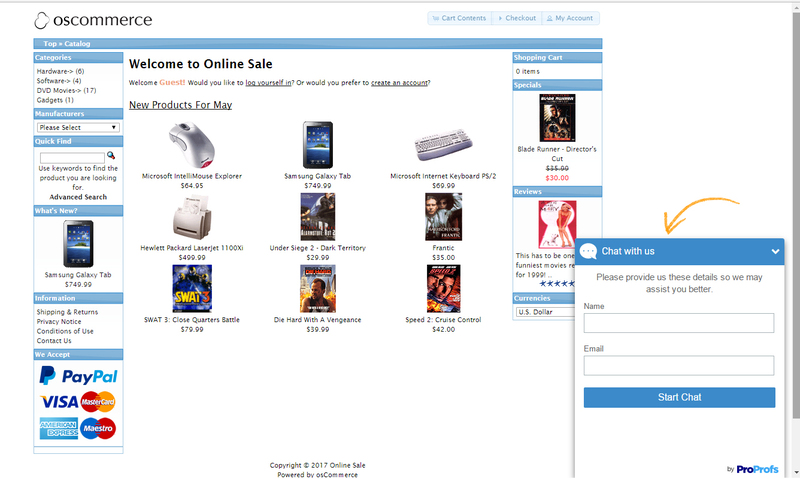 Login to your osCommerce administration panel. Step5. Navigate to Modules → Boxes. Step6. Install live chat module. Step7. Edit "Live Chat module" settings and paste HTML button code. Step8. 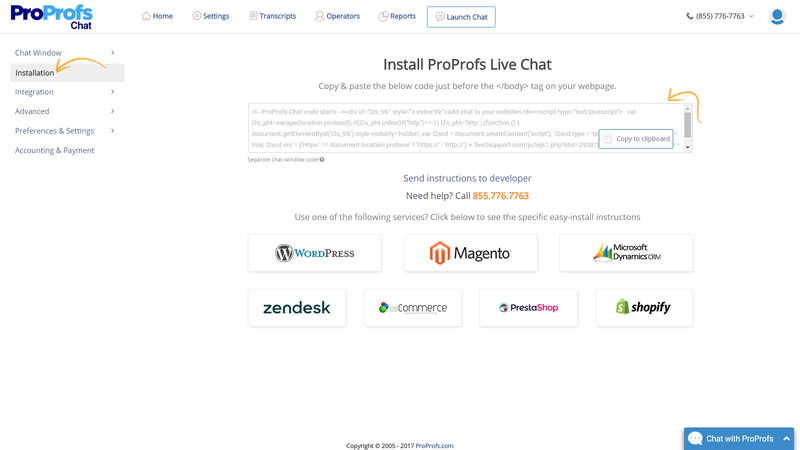 Save and Enable the module and ProProfs Chat will be displayed on your online shop.